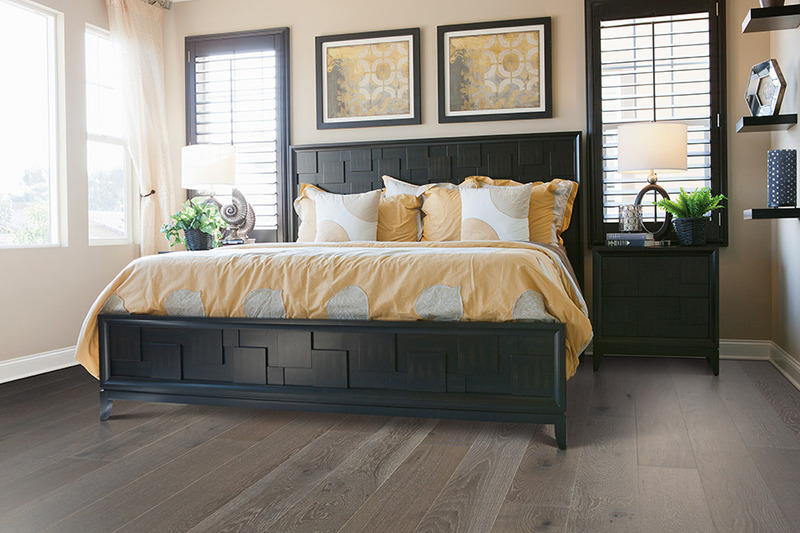 Wood floors are an investment that people make because they know it will add comfort, beauty, and value to their homes. They often have questions about how to protect their investment and keep their wood floors looking beautiful. Wood floors are a natural product. Changes in a home's humidity can have an effect on hardwood floors. In rooms below ground level, potential water pooling and humidity can create problems. Solid wood flooring is not a recommendation for areas such as basements, bathrooms, and laundry rooms. Vacuum and sweep hardwood floors regularly. Abrasives such as dirt and dust can damage the finish. Indoor and outdoor mats will collect moisture and dust before it comes in contact with the wood floor. Wipe spills immediately and clean periodically with the cleaner recommended by the hardwood floor manufacturer. Prefinished wood floors are stained and sealed in the factory. 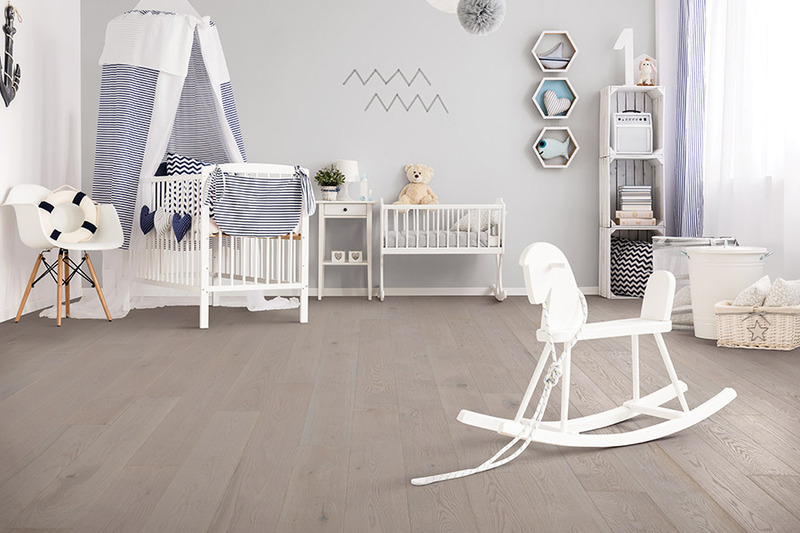 Prefinished wood floors have a no-muss, no-fuss installation. Unfinished floors are usually selected when people are trying to match a wood floor that exists in the home. Unfinished wood can be stained to match another floor before applying the finish. On-site unfinished wood floor installation takes longer to complete. There will also be an inconvenience of sanding dust and sealant fumes during the installation. Some natural wood species can lighten, darken, or yellow over time. Manufacturers suggest moving rugs and furniture every so often to allow the wood floors to evenly age from exposure to UV rays. Sheets of genuine hardwood are fused together in the formation of durable engineered wood planks. 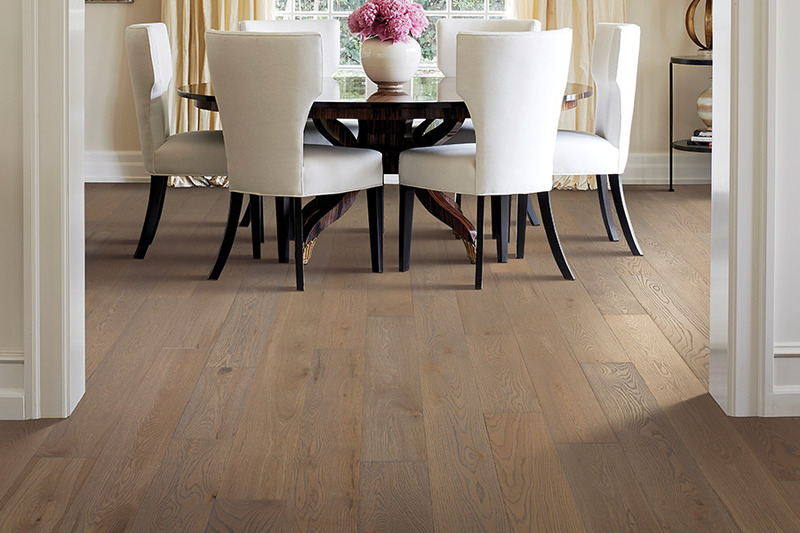 The multiple layers make engineered hardwood superior in stability to solid hardwood. They are less susceptible to changes in humidity and temperature. Solid hardwood cannot be installed below ground level. 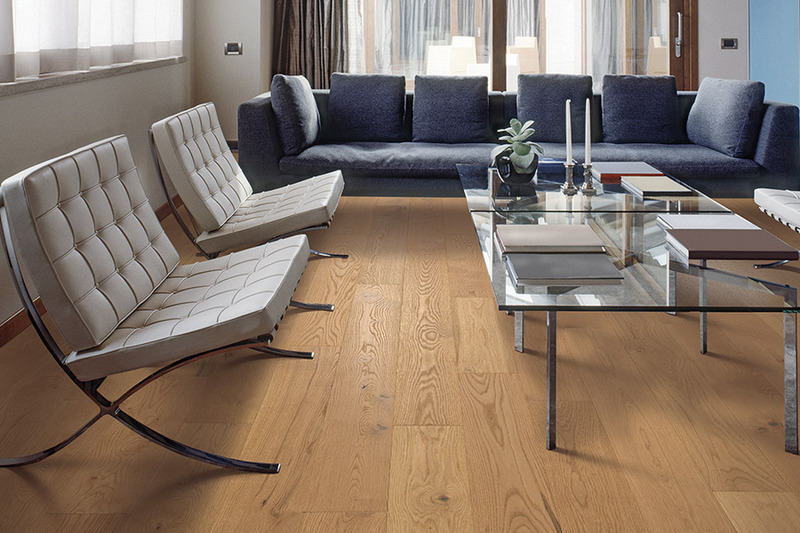 Engineered hardwood can, and therefore, is an ideal choice for finished basement flooring. 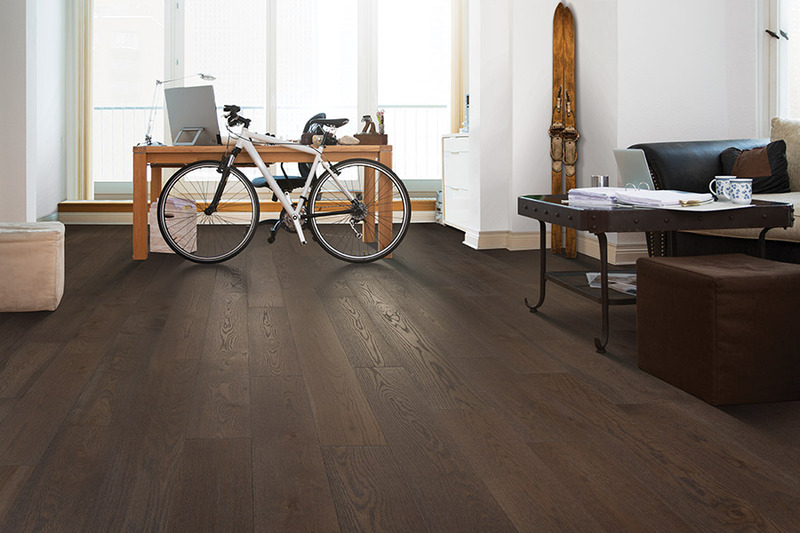 Many people ask our Troy Flooring Center experts about installation. 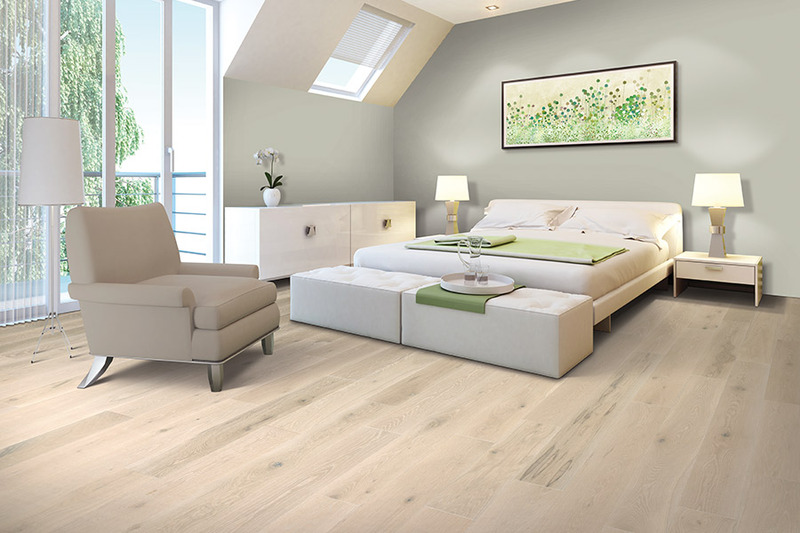 To be done correctly, wood flooring installation requires know-how, precision, and time. Do-it-yourselfers find wood flooring installation to be challenging. We suggest letting our flooring experts install your wood floors, so that they perform and look beautifully. Customers from Wildwood, Wentzville, Saint Peters, Saint Charles, Lake Saint Louis, and Chesterfield have put their trust in our wood flooring installation. Check out the hardwood flooring we carry at our Troy, MO showroom.